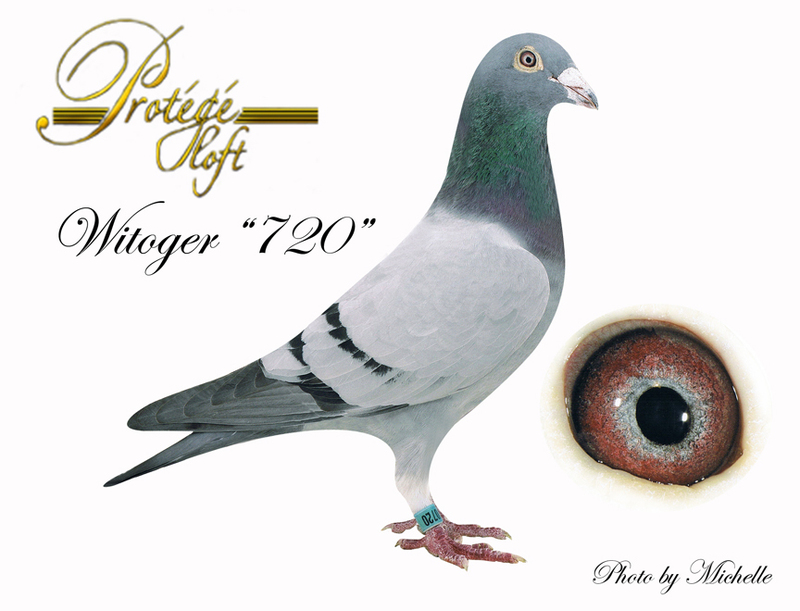 Double Grand Daughter of The Famous 'Witoger 720"!! This hen here is a Double Grand Daughter of The Famous 'Witoger 720"!! Which where it all Started for Me and Many others though out the USA! These birds have Won Every Award possible and are probably the Best Janssen based birds Ever to enter this country. In 2001 I purchased The Great 720 from Fred Smeltzer Who is One of the Very Best Flyers Ever here in America. In the late 80's and all thru the 90,s Fred dominated with the 720 birds and made a name for himself. 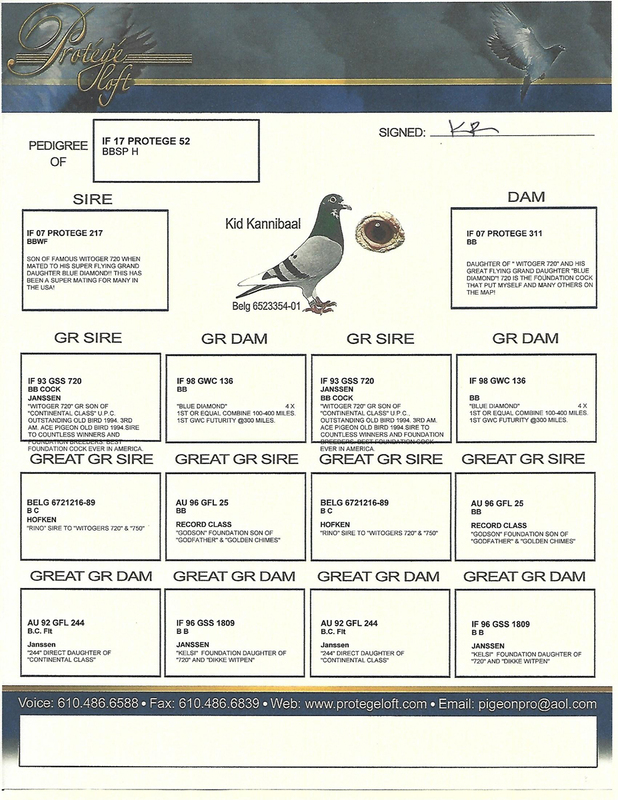 In 2002 flying pigeons was no longer a Challenge for him as he Won Everything there was to win so he decided to sell his birds and Start The Worlds first Pigeon Auction Site known as Ipigeon. Fred was a little worried at first with the launching of this new site really never knowing if it would take. We,ll as time went on it proved to be a success and Fred knew he would have to step up his game and enrolled in the Henk Kujlaars School of Fine Photography. Now after 15 or so years when asking Henk how Fred is doing he says Fred always sits in the back of the classroom and never raises his hand except to go to the bathroom to smoke a cigarette and considers him a slow learner but is trying and shows up for all his classes. Although Fred may be a little slow I personally think he is quite an Entrepreneur as he is the one that taught me how to Glue small mirrors on the tip of my shoes!! Lovya Fred!! Thanks for the Great Birds and Great times over the years!!! 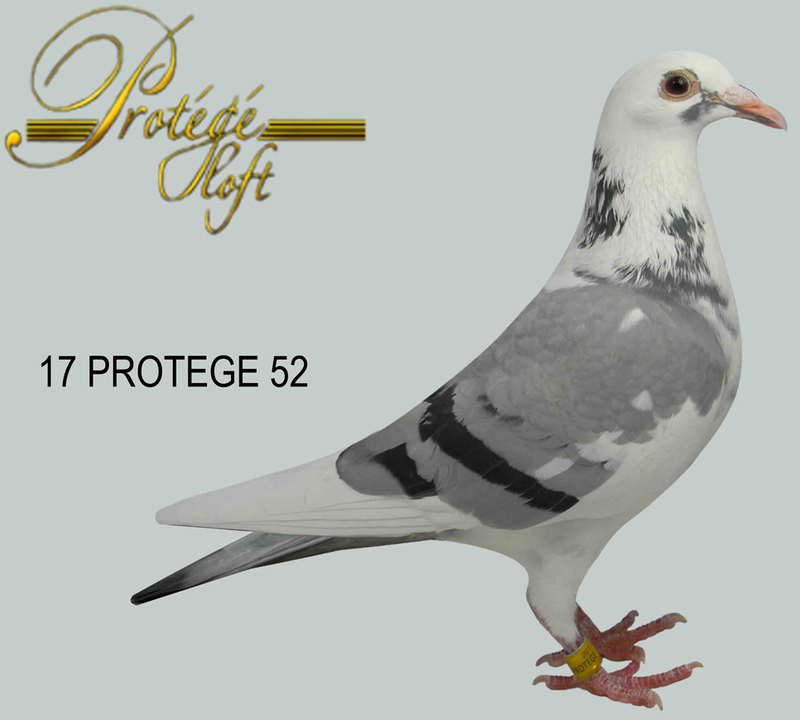 On a serious note Protege 52 is considered a Very nice Butterball type hen. She is bred from 2 Last Surviving Breedable children of The Great 720 when mated to his Super Flying Grand daughter "Blue Diamond" She was Second Combine Ace as a youngster and 4 times 1st or equal Combine 100-400 miles! Also as a youngster she was 1ST GWC FUTURITY @ 300 MILES.. Together with 4 of her Loft mates, the Famous Five were the only day birds on a tough headwind race @ 800 YPM !!! clocking at 3:20 in the afternoon, taking the 1st 5 positions and all the Pools!!! With the next Loft clocking @ 10:10 the next morning!!... Flying against So . Pennsylvania, New Jersey, and Delaware... Together with "Stack of Dollars", they have produced many Combine winners including 500 miles... Better Yet their Offspring produce Winners to no end. Protege 52 is The Best I could possibly offer of this bloodline. Very hard to find these nowadays. Your Auction Has Been Posted! 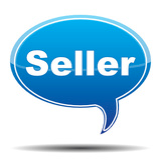 Would you like to post another auction? Add the country code with the phone number. Please enter the following 6 digit number while we call you.